WOW its midyear already! 2 major 3 day events within a month of each other- Firstly, deserving of the front page was Melbourne’s International Oceania Champs. What a great event all round for its 60th Year celebration. Great weather and fabulous crowds- You have to give it to Melbourne for the crowds-it was packed!! Both Stuart and Gemma competing in the AUSTRALIAN Team. 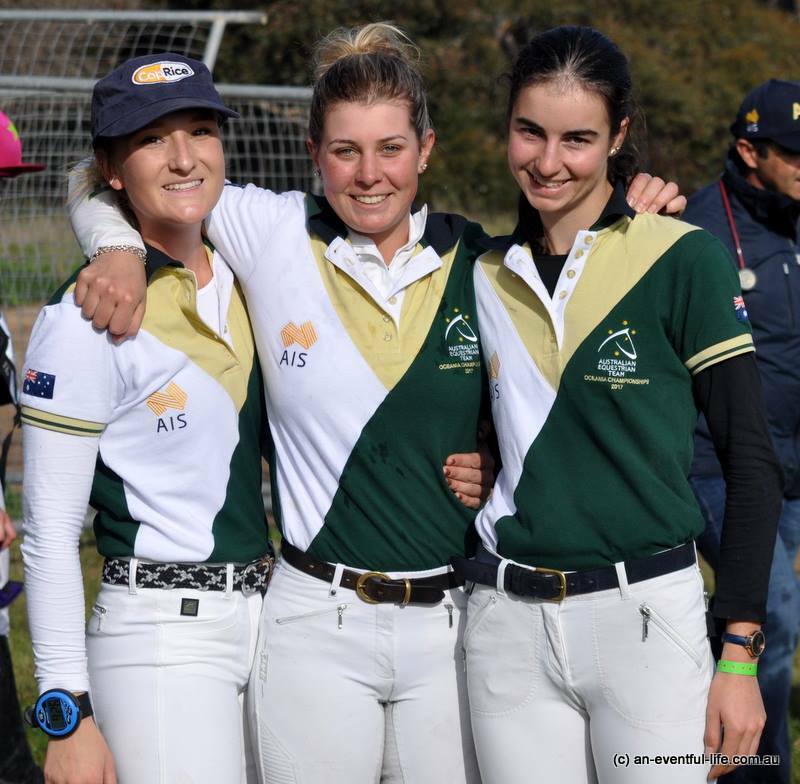 Stuart in the Senior team on Corinna and Darren Huskinson’ WAR HAWK and Gemma on John and Jane Pittars’s ANNAPURNA Young Rider team. 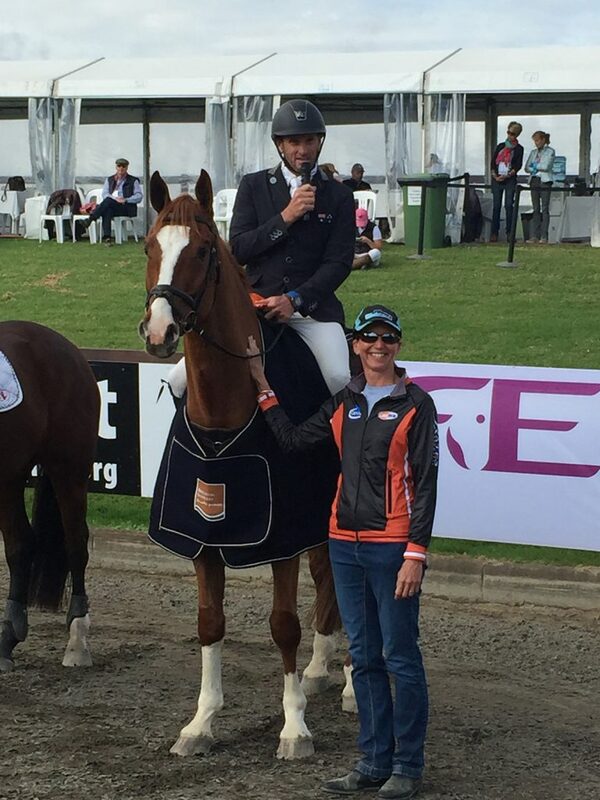 Well Gemma stole the limelight ( again) with a fabulous individual 2nd in the CCI** plus AUSTRALIA winning 🙂 Stuart on War Hawk a credible 5th in the CCI*** but AUSTRALIA letting the win go to NEW ZEALAND- This time! 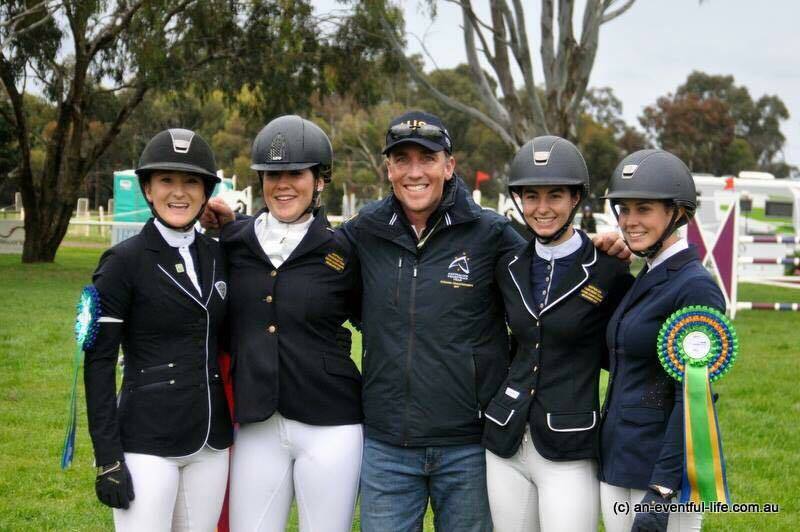 JUST LOVE the picture of Gemma with her team mates- Tayah Andrew, Olivia Barton, Shanae Lowing and coach Will Enzinger. Gemma was also very privileged to receive the Caitlyn Fischer Memorial award (best performed young rider in the CCI**) which was presented by her mother Ailsa and father Mark. What an honour and a lovely way to keep Caitlyn’s memories. We are so proud of the Fischer family and their strength plus proud of Gemma earning this trophy. 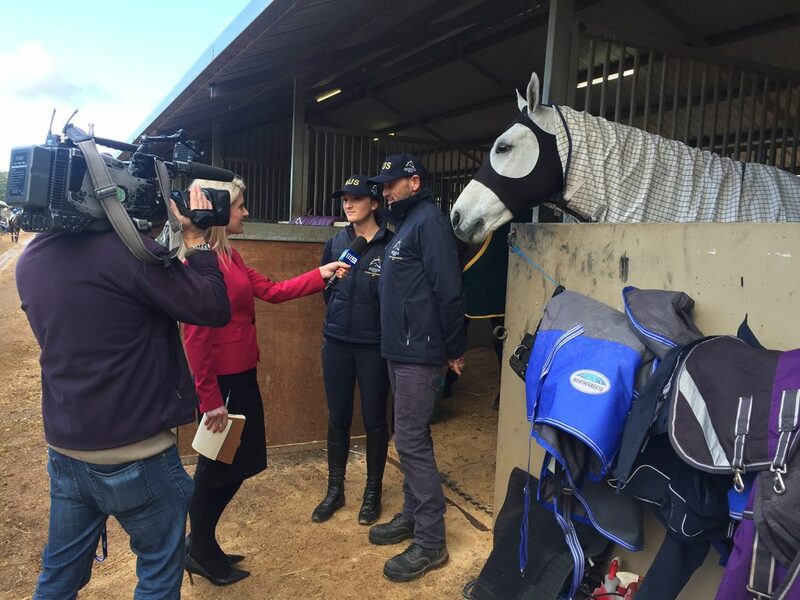 Channel 9 also took full advantage of the Father /Daughter team selection airing a great piece on the event. 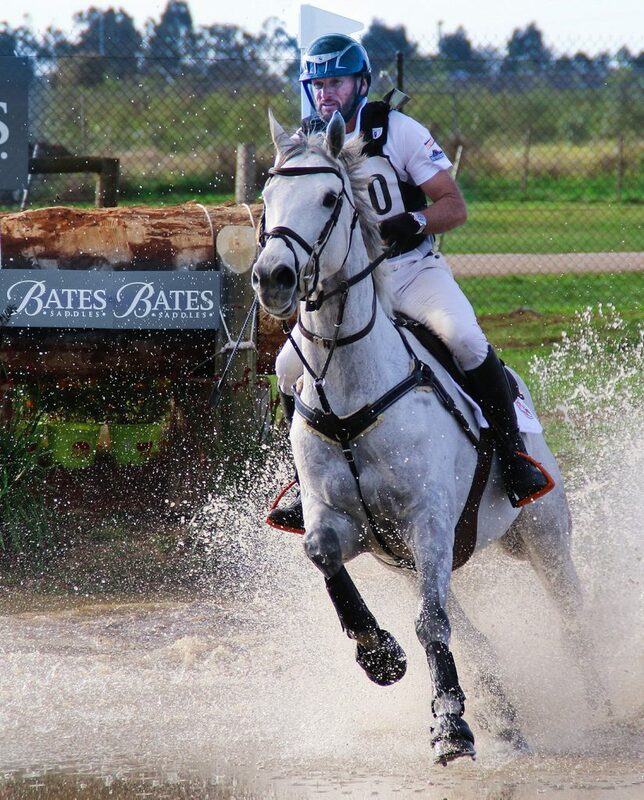 August is a ‘changing’ month for us, with Stephanie Bender now starting her business alongside Tinney Eventing. We are excited for the change of direction and hope to have more time to train our great team of horses. ‘Celebration’ wins the Young Event Horse. 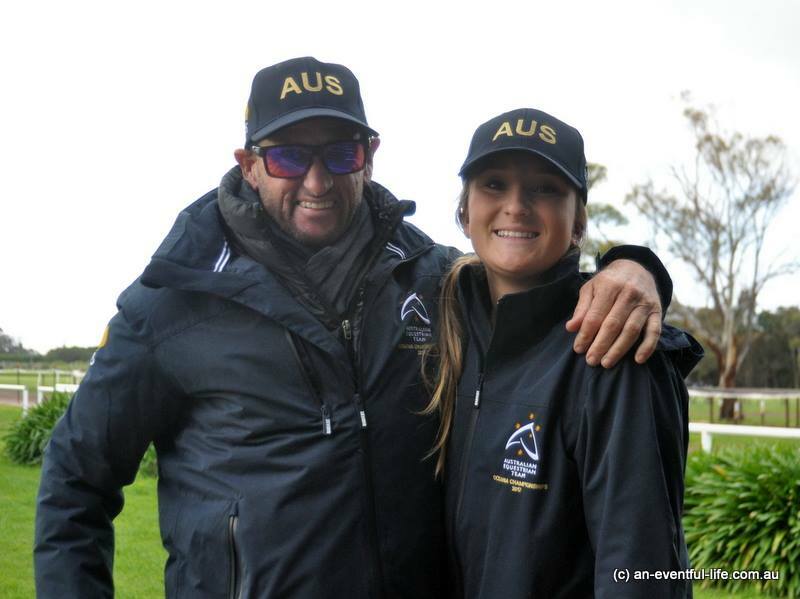 Sydney International saw Stuart and Gemma run round the CIC*** in their prep for Melbourne. A lovely event for the horses, Stuart coming in 3rd and Gemma taking it quietly to come 8th. 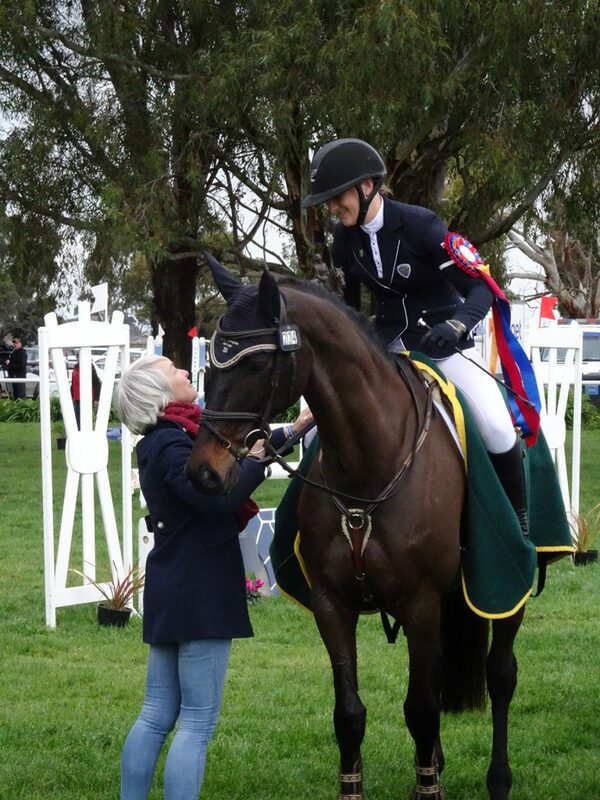 However the focus was on The Young Event horse for Stuart and Elisabeth Brinton’s ‘Celebration’ known as Charlie. He is a super horse with loads of potential for the future.